Vacations are meant to be fun for people, but due to the change in routine, they can, unfortunately, stress many cats out and result in behavior problems and separation anxiety. Cat behavior problems can occur during the owner's absence, while being transported, or even at the return of the owner. 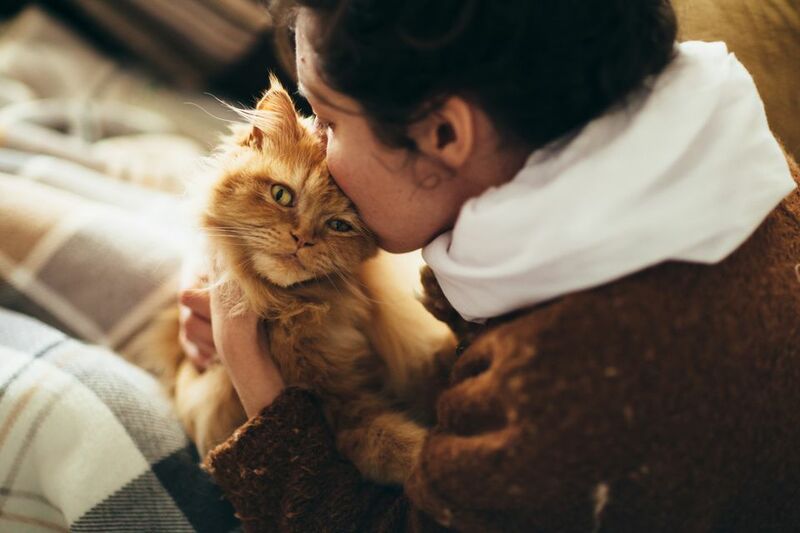 While some cats are fine traveling, staying in hotels, or being boarded in a kennel, most cats are better off when they stay in their own home with a pet sitter. This, of course, isn’t always possible, but thankfully some steps can be taken to lessen your cat’s stress and the likelihood of behavior problems at vacation time. Cats adore routine and thrive on it to the point that changing anything can potentially cause them to become stressed. When cat owners go on a vacation a lot of things change for their pets including the absence of their owners, different feeding times, less attention, new people and sometimes new environments if they are being boarded. It can take your cat anywhere from five days to two weeks to adjust and accept a new routine (sometimes even longer). Just consider how long it takes some cats to accept new cats into their homes or to adjust to a new house. Both of these situations demonstrate how inflexible cats potentially are. A stranger, such as a pet sitter, who doesn't adhere to the routine, also adds stress to your cat’s life. Just about the time your cat becomes used to the new routine with the pet sitter you return from vacation and change their daily routine again. You also no longer smell familiar to your cat because they haven’t been able to refresh their cheek-rub markings while you were away. As a result, some cats hide, become defensive, or exhibit unwanted behaviors. One of the most common behavior problems seen in cats when a change occurs in the household is inappropriate elimination, especially urination outside the litter box. Cats may act out with aggression or be fearful toward pet sitters they do not know or in new environments such as boarding facilities. These emotions may cause them to urinate outside their litter box as they try to tell us they are scared, stressed, etc. Since cats like the smell of themselves, the urine marking also helps calm them down by spreading their scent onto items that smell like their owner. Urine is challenging to remove from items like furniture, carpeting, and mattresses, so it is frustrating for people to deal with and clean up. In addition to unwanted urination, cats may also start scratching things more if they are upset or stressed. Scratching is a natural behavior and is used to maintain the health of their claws and to mark their territory. But this behavior may increase during stressful times for your cat. New things often scare cats, and if your cat is scared they will hide. Hiding from the pet sitter, at a boarding facility, and even when you return home are all due to your cat being scared of the situation. A scared or stressed cat may lash out aggressively or defensively. This is sometimes seen in extreme stress levels of cats that are in a new situation or environment. Swatting, hissing, lunging, and biting can all be signs of fear and stress in cats. If your cat is staying home while you go on vacation, ask the pet sitter to meet them as many times as possible, well in advance of your absence. The pet sitter should offer favorite treats to your cat or play with them and their favorite toys. This will help your cat associate the pet sitter with something positive and pleasant. If your cat wants to run off let them. Do not confine them to force a meet and greet. Bring out your suitcase at least a week in advance so that your cat gets used to it. Toss in treats or toys, so it's a positive association for the cat whenever they see your luggage. This also goes for your cat carrier if you need to transport your cat. Write down your daily routine and ask the pet sitter to follow it. Meals, playtime, grooming, lap-sitting interactions and other cat-specific important benchmarks should be followed as closely as possible in order to minimize stress for your cat. If you know, the routine will change while you are gone, implement some of these changes several days before your departure, so the cat has already begun the transition without the further stress of your absence. Leave behind a scented item, such as a t-shirt that you’ve worn but not washed, for your cat. Leaving this in the cat's bed can help your cat feel comforted. Some cats also appreciate your recorded voice/message to be played while you're gone but others become upset, so test this before you leave to see if it might help. Before you depart, have each member of the family that your cat loves choose a pair of socks from their wardrobe. Rub the socks all over the cat and seal each pair in a separate plastic baggy. When you return from vacation, slip on the cat-scented socks so that you once again carry the cat's signature identification that "you are family." If you will be boarding your cat be sure to bring some of their favorite things and items that smell like you along with them to the facility. Try to have the facility adhere to your normal feeding schedule and play times if they offer them. Tell the staff about what your cat likes to do or where they like to be pet and if you have to transport your cat, be sure to do so in a carrier covered with a towel. Keep them calm in the car by playing soft music and stabilizing the carrier with a seat belt or on the floor of the vehicle. You can also put some treats or favorite food in the carrier. Medications, nutritional supplements, and pheromones are also considerations for cats with stress and anxiety. Many of these items should be started before leaving for vacation and can be very helpful.